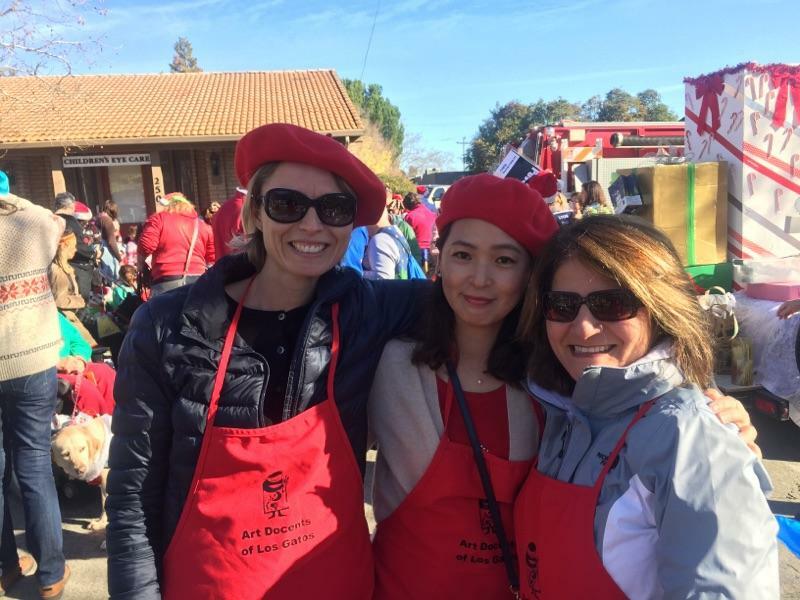 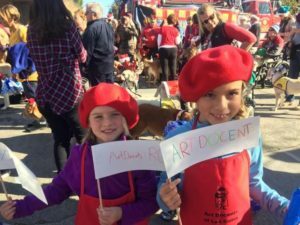 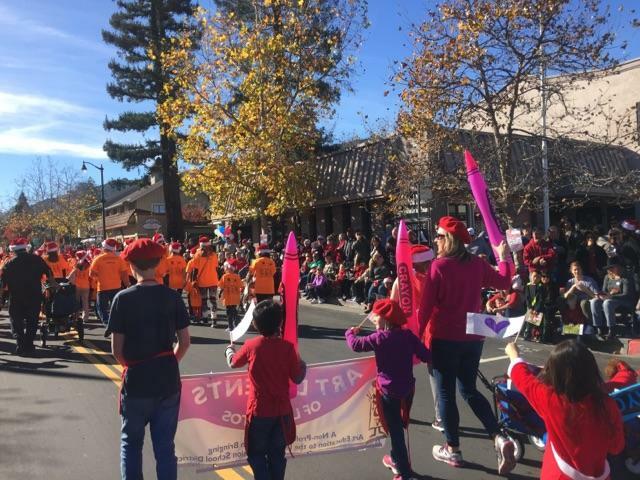 More than 20 people–including docents, family and friends–walked behind the Art Docent banner in the Los Gatos Children’s Parade on Dec. 3, 2016. 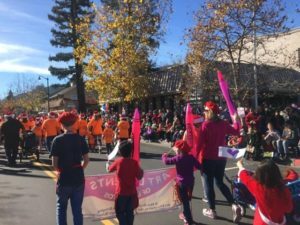 Waving inflated crayons and hand-made flags, participants were greeted by thousands of onlookers as they walked through Los Gatos. 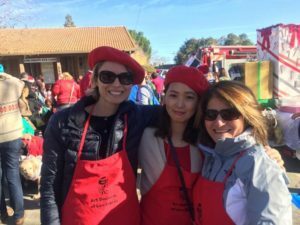 The chilly morning was tempered by hot chocolate and warm company. 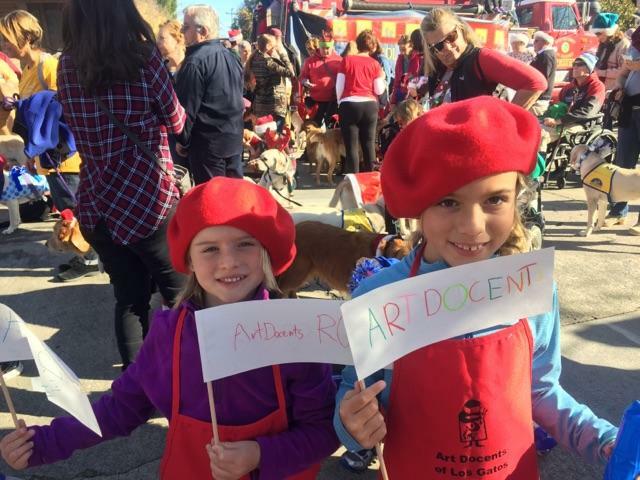 In all, it was a great opportunity to come together and showcase the Art Docent’s commitment to our community. 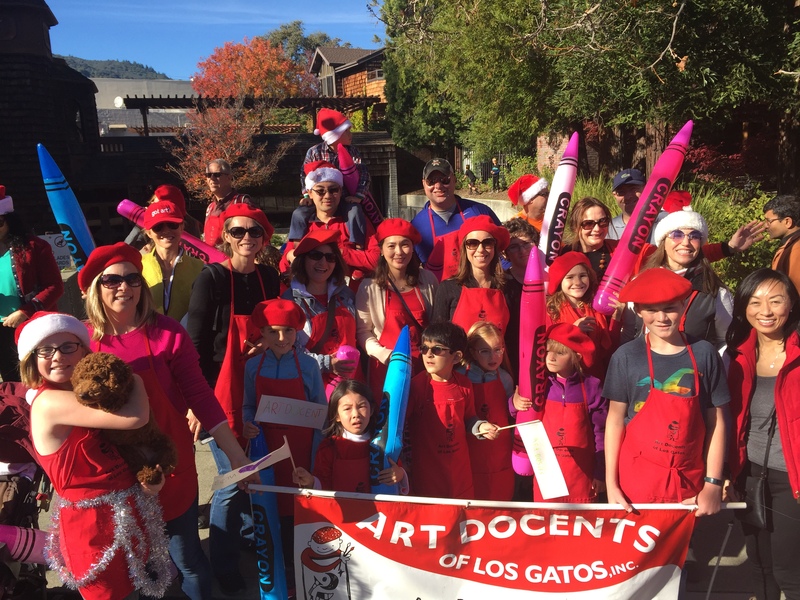 This year, the Art Docents paraded behind the Los Gatos Education Foundation (LGEF), which is one of the generous funders of our programs. 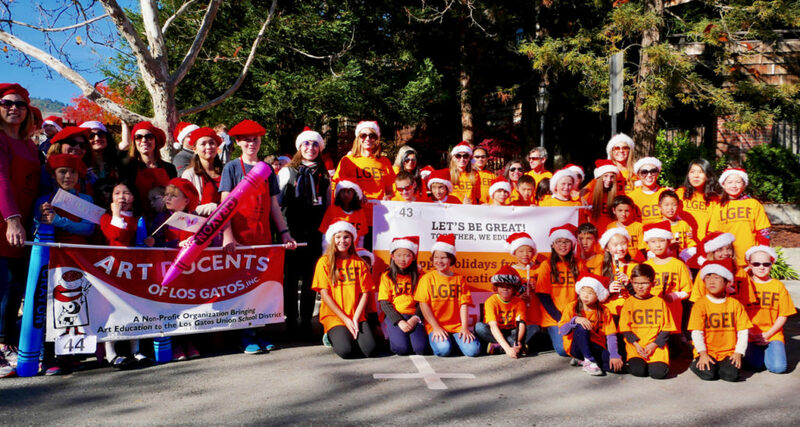 We have long enjoyed a mutually-beneficial relationship with LGEF in providing students in Los Gatos with art instruction. 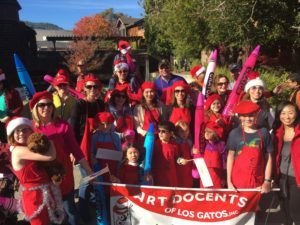 Stay tuned for our collaborative spring soirée with LGEF and the RJ Fisher Middle school music department: Chocolate, Art and Music to be held on April 27, 2017.